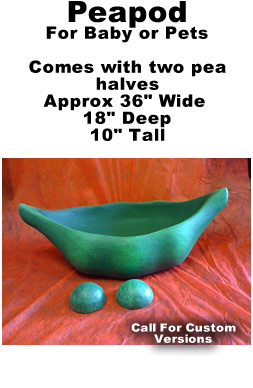 Peapod Foam Egg Prop for Baby or Pets - Dino Rentos Studios, INC. Perfect for photography sets for babies and pets! Fully plastic coated for durability and longevity. Comes with 2 pea halves.